A detailed and very personal guide to reading and writing poetry by one of the country's leading children's poets. 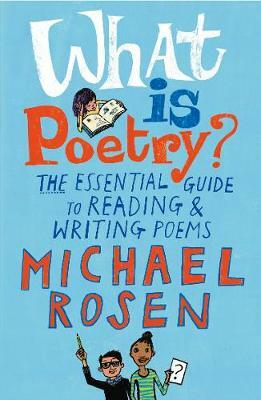 Over many years as a working poet, Michael Rosen has thought a great deal about what poems are, what they can do and the pleasure that comes from writing and reading poetry. In this invaluable handbook, he shares this knowledge and experience in book form for the very first time. Starting with a detailed analysis of a number of classic poems, he offers a real "writer's guide" to writing and performing poems, as well as a wealth of technical information and tips. He then takes a fascinating look at a selection of his own poems and explains how and why he wrote them. Complete with an appendix of poets and useful websites, and beautifully illustrated by award-winning artist Jill Calder, this is the only guide to poetry children and teachers will ever need. et’s just get it out of the way at the start – I love Michael Rosen. There I said it.